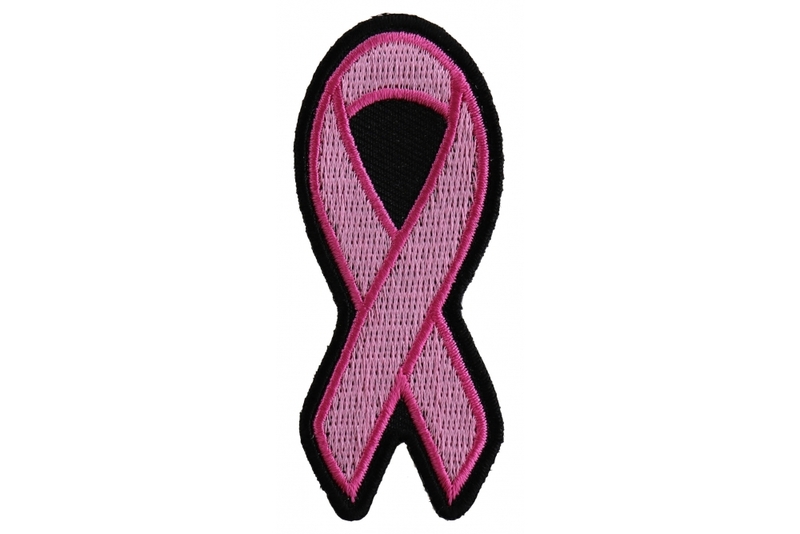 Pink Ribbon Patch with black borders. 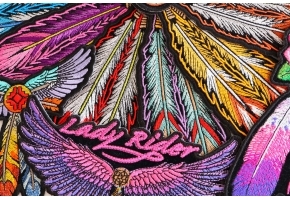 Fully embroidered in two tones of pink for a better looking result. 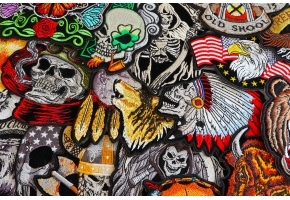 The patch can be ironed on or sewed, measures 3 inches tall. The pink ribbon stands for those who support the fight against Breast Cancer. 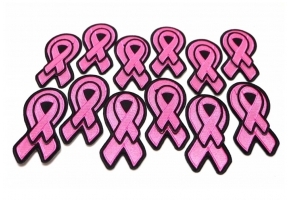 So what happens when you buy the pink ribbon patches from us, how do you support the fight against it? We want to say that we do not donate any money directly to a cancer related organization. Say we sold 100 pink ribbons at our site. We make 100 pink ribbons and donate them to families and associations for them to raise money helping a member of their family fight cancer. So far we've sold over 2,000 pink ribbons and donated over 2,000 pink ribbon patches. We'll keep donating an equal amount of patches that we sell to those raising funds to help someone in their family with cancer. Breast cancer is one of the most dreadful things these days and a lot of activists conduct campaigns to show their support towards people fighting this dreadful disease. One of the diseases which can be extremely painful can fought even meaningfully when you decide to get a beautiful patch of Small Pink Ribbon Breast Cancer Awareness Patch either on your jacket or vest made out of denim or leather. Wearing this cute little pink patch would not only make you happy but you would also gain a lot of appreciation from everyone around because of the cause you are fighting for!